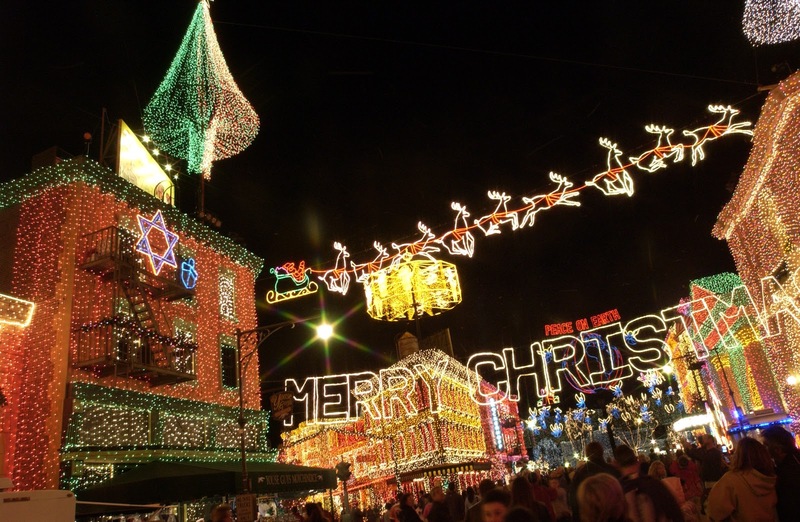 The Osborne Family Spectacle of Dancing Lights at Disney’s Hollywood Studios theme park is a breathtaking seasonal display featuring millions of glittering lights perfectly synchronized to holiday music. The lights are so extensive you may find it hard to comprehend their magnitude. Entire buildings are blanketed in sheets of multi-colored lights, and thousands more lights form twirling carousels, heavenly angels, and even Santa and his reindeer. Approximately every 10 minutes, the lights dim and then dramatically spring to life — dynamically choreographed to traditional holiday music. You have to see the effect to believe it! Some nights, if you truly believe in holiday magic, the show is capped off with an enchanted flurry of snow. The Osborne Family Spectacle of Dancing Lights started modestly in Arkansas as a single home’s annual display. Every year, Jennings Osborne and his family set up an elaborate collection of holiday lights and over the years, the collection of lights grew, and grew… and grew! 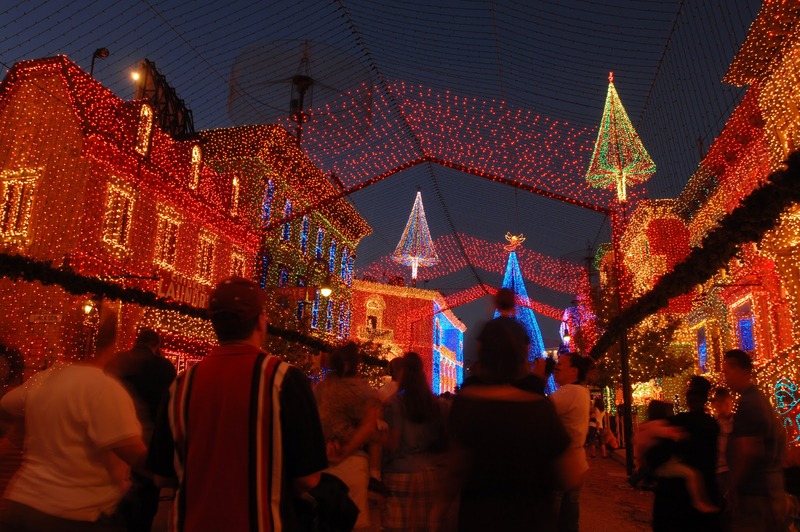 In 1995, the Osborne family decided to share their magic with the world, and Walt Disney World Resort happily offered to become the new permanent home for this exceptional exhibition of holiday cheer. The Osborne Family Spectacle of Dancing Lights is included with standard admission to Disney’s Hollywood Studios theme park. 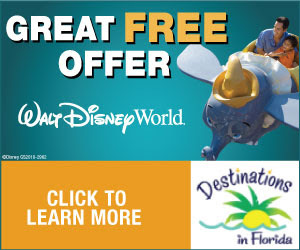 The rich tradition takes place on the Streets of America, dazzling guests from Nov. 9, 2012 to Jan. 6, 2013.